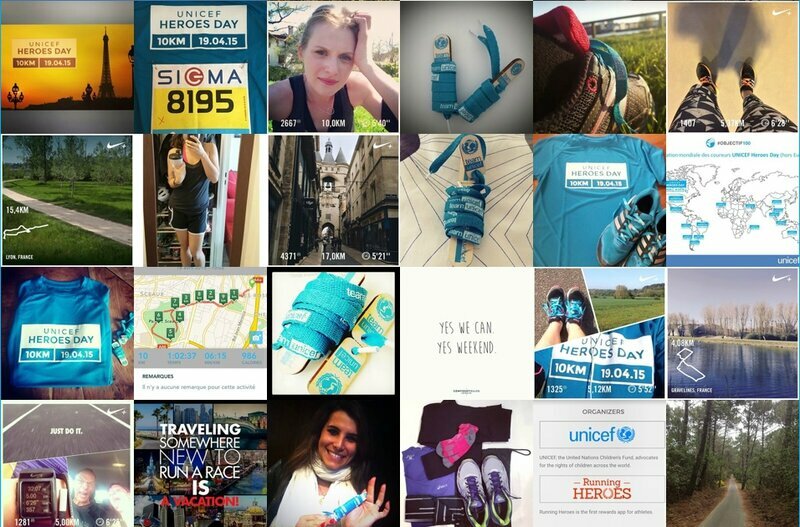 UNICEF Heroes Day - Tales of Tyre-racing, Makis and M'zungus. 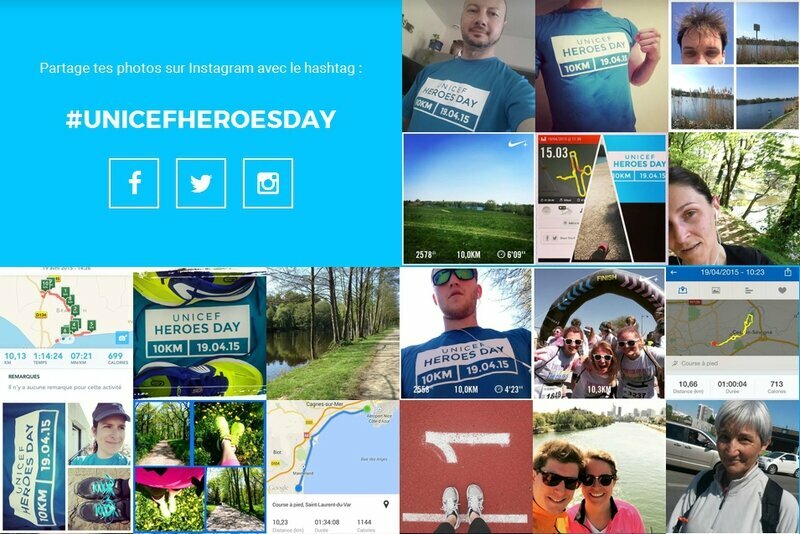 Yesterday was UNICEF Heroes Day: a worldwide, running-applications-and-various-other-gadgets-connected run whose goal was to raise money to vaccinate children. The idea was to get everybody to run 10 kilometres and connect via various running or fitness-based apps, GPS watches or whatever to the UNICEF Heroes website, thereby tracking all their practice and the run itself. There was no specific time for the run to start: you could do it at any time on that given day, even in several chunks if you wanted to. And as it was a worldwide race, there was no specific place: you could run wherever you wanted. Some people completed a circuit around their house or area, some went running on the streets or on the beach, others went round a track... the only "obligation" was the 10 kilometres. You could form teams of four people, running either together or in completely different places (or even different countries), or you could run on your own. Naturally, I did not have a running application, and the running applications the website was compatible with either weren't available or refused to download, so my ten kilometres won't count for the cause. 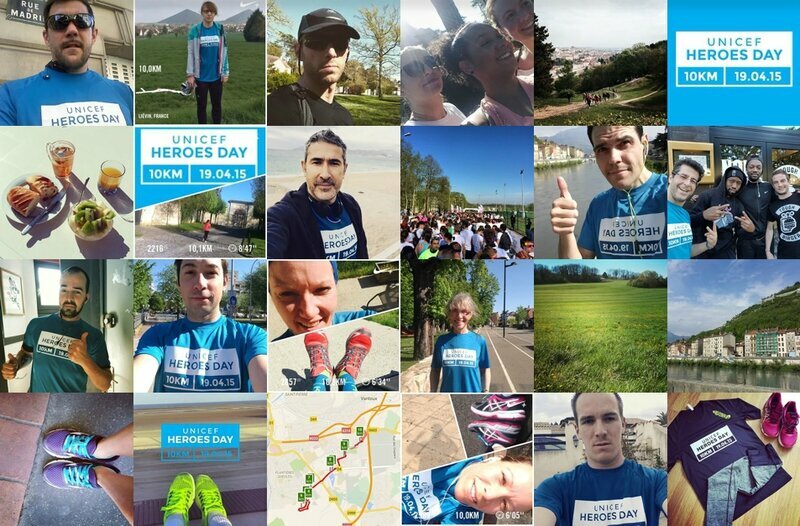 You made a donation of a minimum of 5€ through the UNICEF Heroes website, which was advertised as being sufficient to vaccinate one child, and you could ask for sponsorships to raise extra money for the charity. 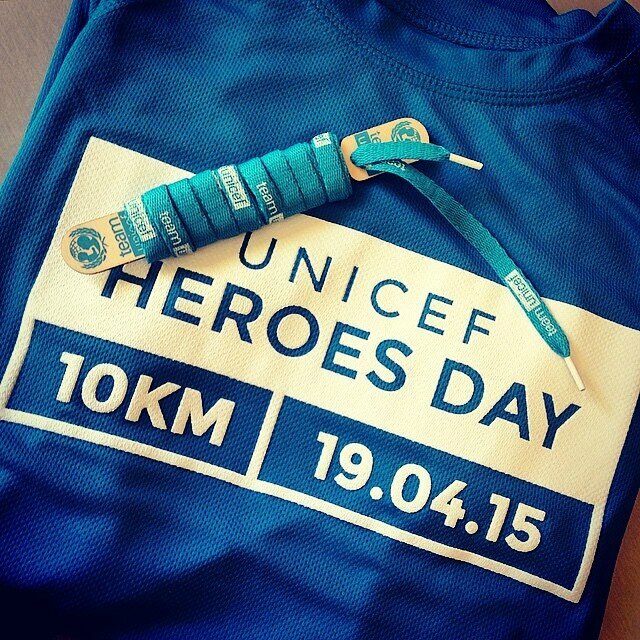 Extra donations could buy you UNICEF blue shoelaces and UNICEF blue "Heroes Day 10km 19.04.15" t-shirts. And of course, lots of people took photos of themselves wearing their new t-shirts and shoelaces, either starting off or showing their circuit, time and distance measurements. I had donated enough to qualify for the blue shoelaces and t-shirt, but of course, this being Mayotte, I haven't actually received them yet. It was interesting to see the results people posted on the website or on Facebook, in that all sorts of people had done the run. 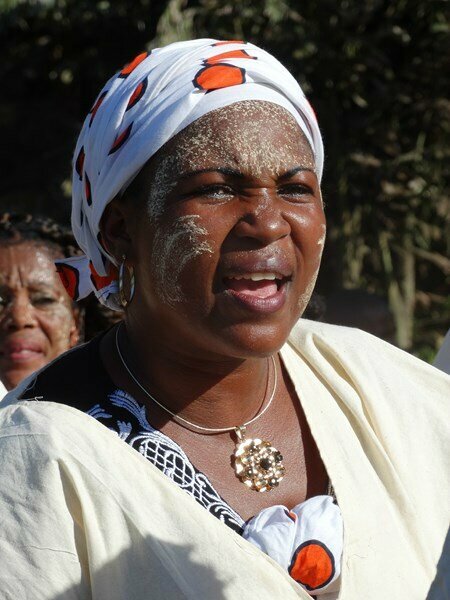 The majority had run their ten kilometres in about an hour, give or take ten minutes. Then there were the annoying ones who, when asked to run ten kilometres, decided to keep going, as this was so much fun, and ended up running twenty-five, even then just stopping because they had promised to have lunch with Aunt Jemima. Others had run 10 kilometres for the first time ever, and were proud of having done it for a good cause. Finally, there were the slowcoaches like myself, who ran a bit, walked a bit, ran a bit more, stopped, had a drink of water, sat down for five minutes, ran another couple of laps, sweated profusely under the midday sun on their tropical islands, turned bright red and finished the ten kilometres in one hour and seventeen minutes, having walked for a good couple of kilometres somewhere in the middle. Responding to popular demand, the run had been turned into a competition whereby all the teams who had completed the run could see their ranking against each other, even though most admitted that the main thing was to do the running itself, whatever the result. The top team ran 544km while practising (this is an average of the four runners in the team, not the sum of their total kilometres as I thought at first) and completed the 10km run in 32 minutes. Humph.